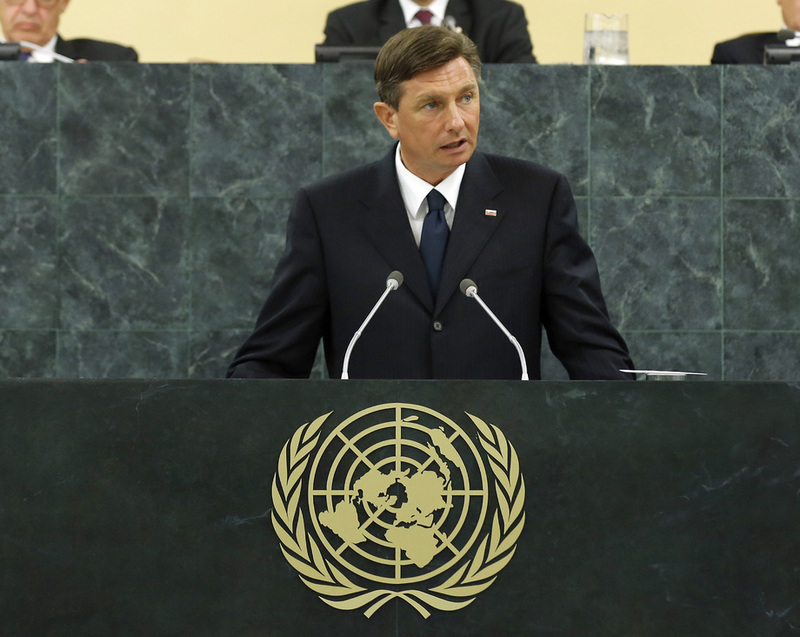 BORUT PAHOR, President of Slovenia, recalled that fewer than 20 years ago, the world had witnessed events that had shocked the human conscience, from the genocide in Rwanda to the massacres in Srebrenica and Darfur. “We should have learned lasting lessons from these horrific events,” he said, reminding the Assembly that, with the establishment of the United Nations, the international community had taken collective responsibility to protect human beings from mass atrocities and gross violations of human rights. “And yet we failed again,” he continued, pointing to the crisis in Syria, where innocent civilians had endured brutal violence for more than two years and more recently the unconscionable use of chemical weapons. That was not only a war crime, but a direct assault against “our common humanity”, he asked. “Has peaceful diplomacy failed again, and will the only way to stop the violence now be military intervention?” Sovereignty did not give States “a licence to kill their own citizens”, he emphasized. The international community had a responsibility to react when States hid their atrocities behind such a veil. When faced with mass atrocities, indifference was not and would never become an option. The Agreement on the Framework for the Elimination of Syrian Chemical Weapons between the United States and the Russian Federation must be implemented without delay, he continued. Syria must comply immediately and fully, or face the consequences, and the Security Council must take all appropriate measures to address the situation through a political solution, he stressed, expressing support for the proposed Geneva II conference. He went on to say that decisive progress on reform of the Security Council was required to improve the organ’s efficiency, transparency and accountability. As part of the reform effort, the Council’s five permanent members must consider refraining from the use of veto power in situations of genocide, crimes against humanity and serious violations of international humanitarian law. The Council must also refer the situation in Syria to the International Criminal Court to ensure accountability and an end to impunity. He warned that the consequences of inaction far outweighed the risks of timely prevention and response, both in terms of money and, more importantly, human suffering and lives, a lesson his region had learned from the conflict in the Western Balkans. Slovenia and Croatia had, therefore, launched the Brdo Process as a forum for high-level dialogue to strengthen relations and promote reconciliation in the region. The last century was a dark chapter in European and human history and “we cannot let that repeat itself” in the twenty-first century, he said, underlining the unique opportunity that today’s leaders had to influence the future for years to come.